I chose this mantra today thanks to a young check-out chick with whom I had a brief interaction with the other day. I had purchased $4 worth of groceries. I gave her a $50 note and she accidentally pressed $20 as the tender amount. She froze. Then explained what she had done. So I got out my phone calculator and worked out the mathematical problem at hand. She said “I’m sorry – I’m not very good at math, my brain just doesn’t work like that”. She’s right. Not everyone is wired with a numbers mind. Not everyone is wired with a colours mind. Not everyone is wired with an analytical mind etc. 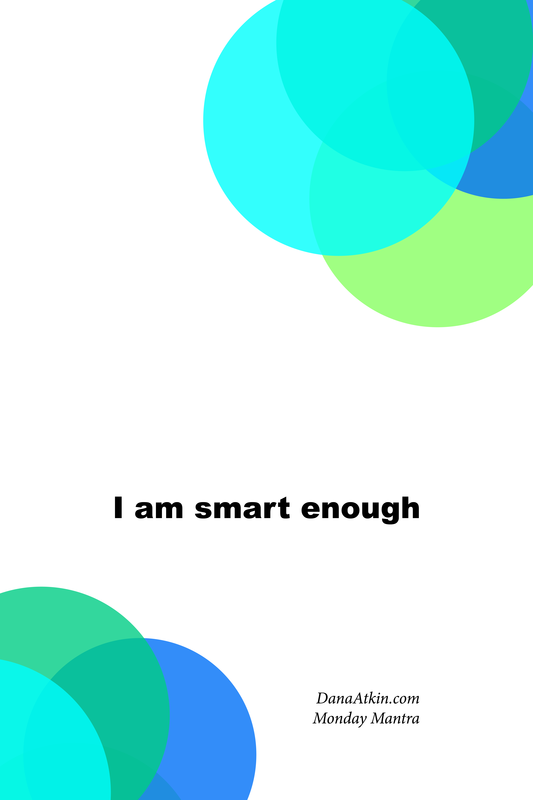 The point is, we all have amazing capabilities when it comes to smarts. The key is to work out what your strength is. For instance, I too am not blessed with a numbers mind but I am blessed with a visual mind. When my boyfriend Jon asks me where something is, I can picture it where I last saw it. When a colleague asks for assistance with something on the computer when I’m not in the office, I can visualise it and talk them through where to find it. So, rather than worry about the fact that I don’t have numbers mind, I relish in the fact that I have a visual mind because I know for a fact that not everyone has that ability. Forget what you’re not naturally great at, find what your mind IS great at and bask in that. As always, save the image to your phone or desktop or print it and pin it somewhere you’ll see it often. When you see it, say it and if you think someone you know might benefit from this mantra, share it.